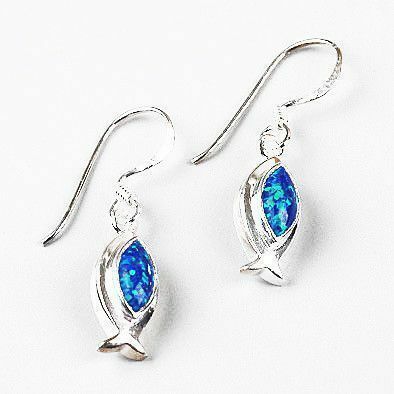 These little earrings feature the Jesus fish design made out of sterling silver and a genuine blue opal gemstone. 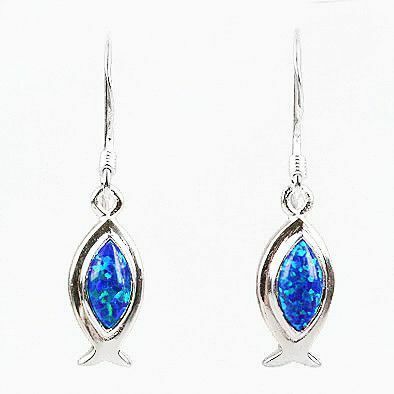 The opal is about 3/8" long and 3/16" wide and the entire earring is about 1 1/4" long. 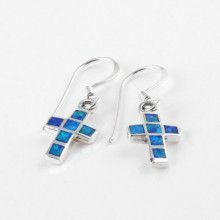 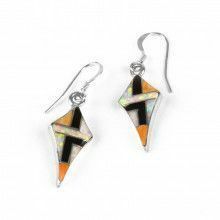 Opal is the birthstone of October, but these opal earrings would be a wonderful religious gift for anyone! 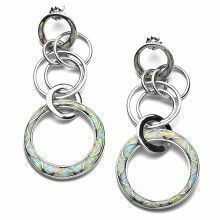 Opal is about 3/8" x 3/16"